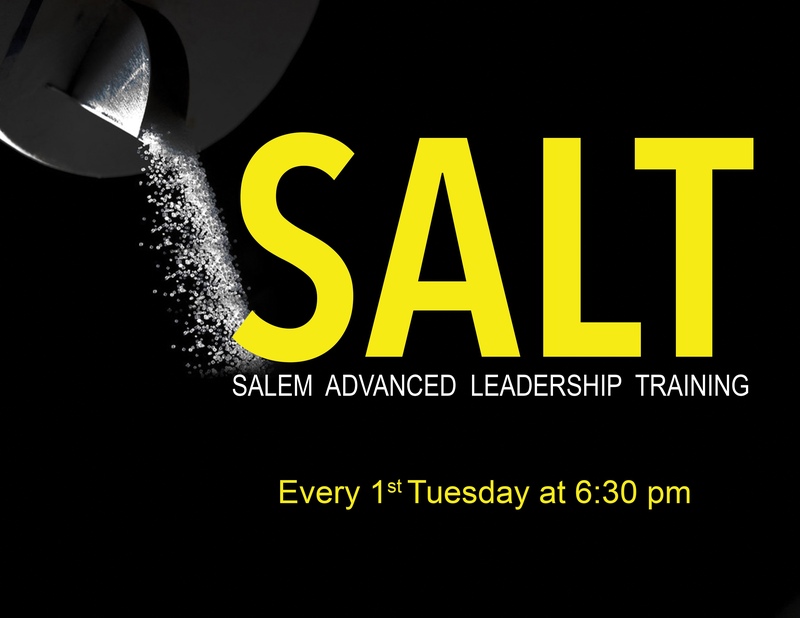 SALT (Salem Advanced Leadership Training) is open to all New Salem members. SALT will take place the first Tuesday of each month at 6:30 pm at New Salem. The leadership session will be followed by departmental meetings.